Fun things to do whilst you wait for biochar project. Fun things to do whilst you wait for a biochar project. August the 1st was D-Day for the Biochar Project / Biochar Industries commercial Adam retort first real firing. If you have been following our progress you will know all about the problems we have had to surmount and the perceived pressure it has created. So what do the folks at Biochar Industries do on the day before D-Day? It all started with the uneventful erection of the shed. We are not often beat on projects but this time our equippment and our ingenuity could not resolve the issue. 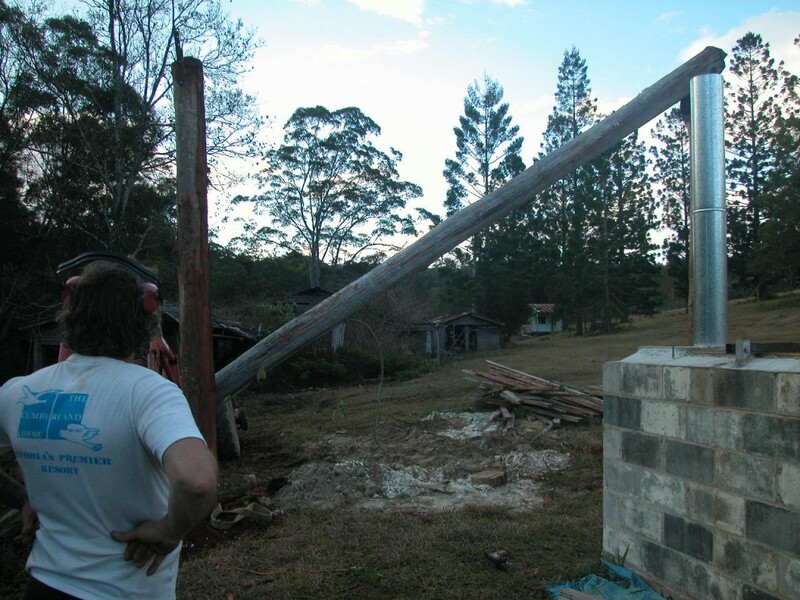 How to lift a 3 ton telegraph pole 5 meters in the air with a tractor that can reach only 4 meters. Believe me the thought of chainsawing the logs down to 4 meters crossed my mind. Quittin Time !!! Lets do something fun as tomorrow is going to be WORK Work work. 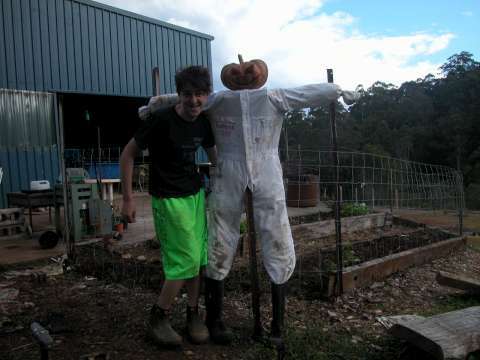 Lets make a Biochar Guardian and we will call him Jack. 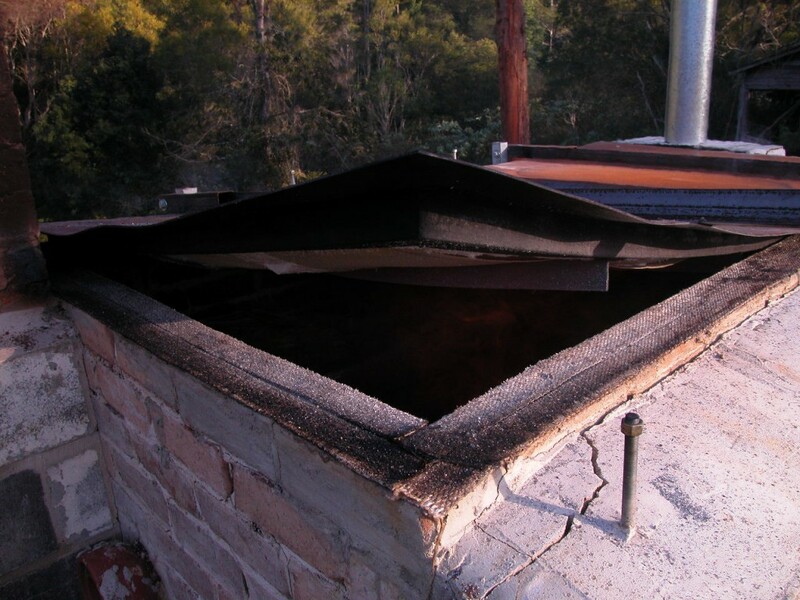 Lets look around in true biochar project fashion and reuse whatever we can. Pumpkin wow what a nice pumpkin who wants to make a head? Someone else says “I have the stuffing”. Here are old boots lets get to work and create Jack o Char… The Scare Crow. So we told jokes and made Jack because the day was to splendid to waste. Its not often we can just chill out and get creative but I really loved the whole experience. Here’s to a full crop of vegetables this year. Oh and one really important lesson we learnt from our mate Jack was “You have to slow down and smell the roses” Live is the journey not the destination. Some words of wisdom from Charmaster Dolph “Biochar is not Terra Pretta”.